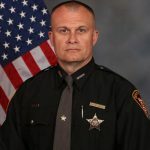 The Pierce Township Trustees join the Clermont County Community in mourning the loss of Clermont County Sheriff Detective Brewer in the Royal Oaks Apartments shooting. Our thoughts and prayers go to his family, along with the family of the Lt. DeRose, who was injured. We are incredibly thankful for our law enforcement and the daily sacrifice they make. It is tragic when a life is lost, especially when it is so close to home.